Bottom Line: A rich, satisfying, flavor-packed VSOP that over-delivers for it's category. 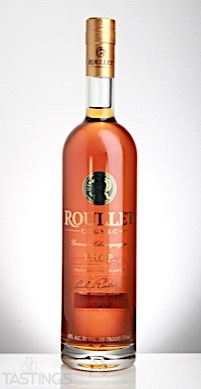 93 • Cognac Roullet VSOP Grande Champagne Cognac 40% (France) $39.00. V.S.O.P. (very superior old pale or very special old pale) Cognac has been aged a minimum of four years, although many examples are aged as long as ten to fifteen years or even longer. It is aged longer than a VS (very special), but less than an X.O. Produced by both large and small Cognac houses, VSOP has remarkable complexity, especially with the long period of aging, which rounds out the Cognac, while adding a distinct spiciness and vanilla character. These are priced from $30 to $55 per bottle and need to be sipped slowly after dinner on their own or with a cigar. 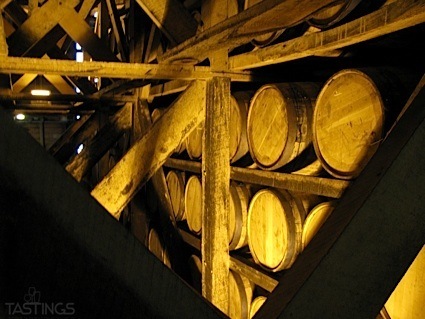 Given the marketing prowess of the large firms as well as their breeding and prestige, VSOP Cognac have been and continue to be one of the most popular spirits in America and around the world. Cognac Roullet VSOP Grande Champagne Cognac rating was calculated by tastings.com to be 93 points out of 100 on 12/21/2017. Please note that MSRP may have changed since the date of our review.